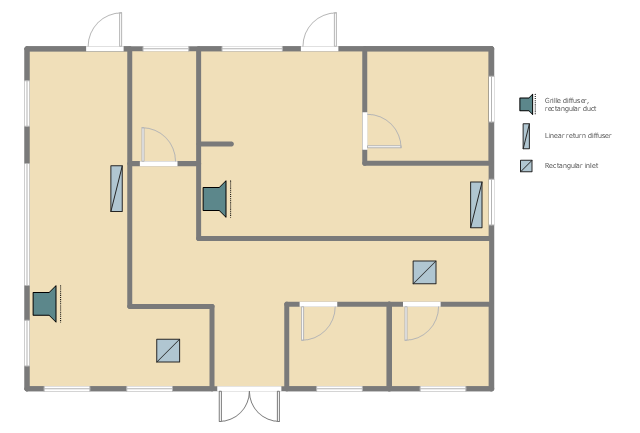 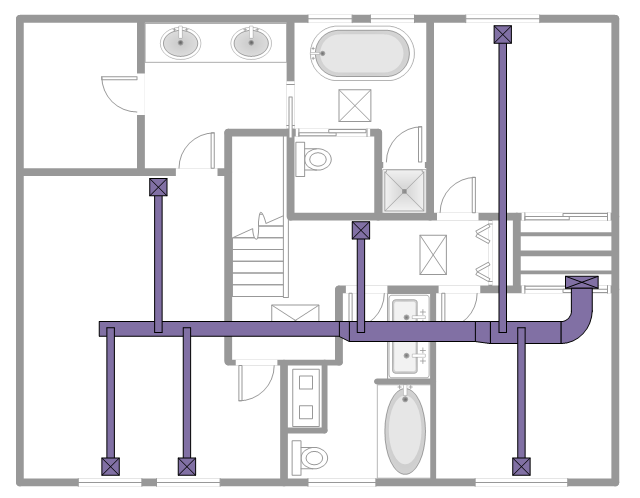 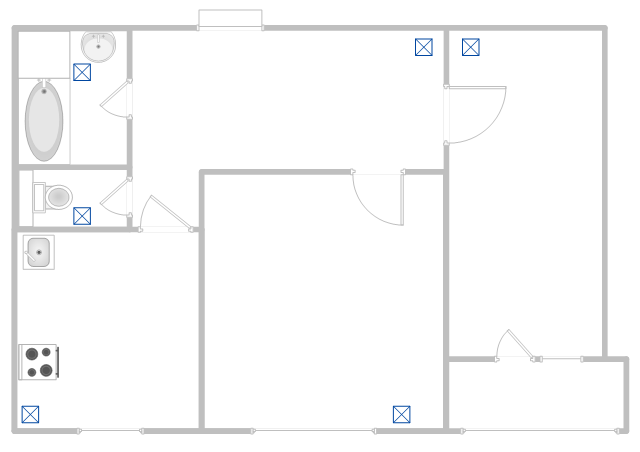 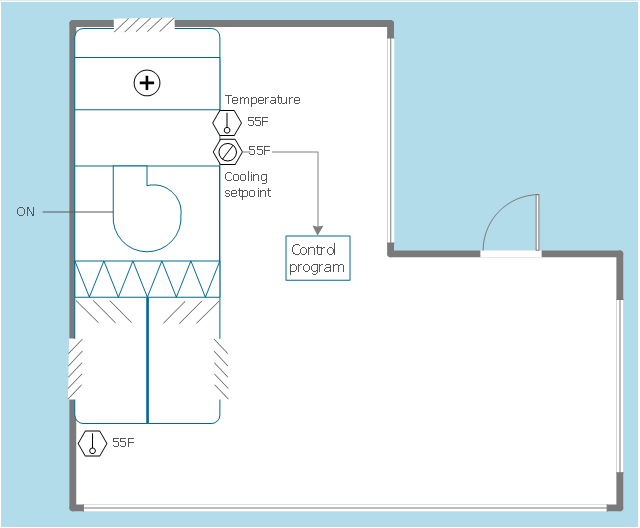 This apartment HVAC (Heating, Ventilating and Air Conditioning) plan shows the layout of exhaust ventilation duct outlet diffusers. "Ventilation is the intentional introduction of outside air into a space. 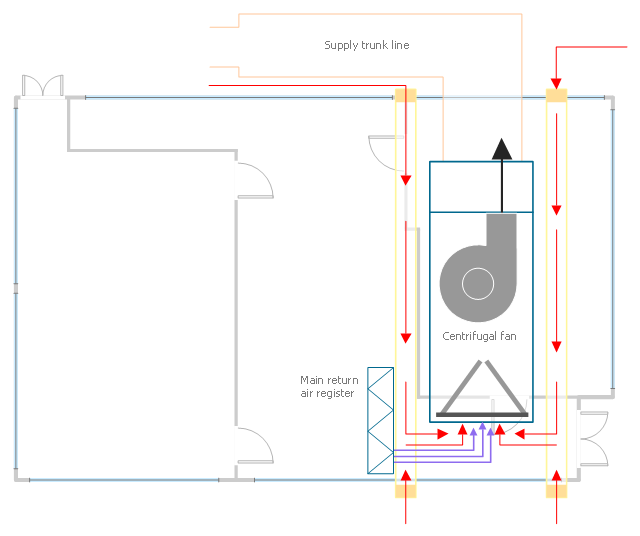 Ventilation is mainly used to control indoor air quality by diluting and displacing indoor pollutants; it can also be used for purposes of thermal comfort or dehumidification when the introduction of outside air will help to achieve desired indoor psychrometric conditions. 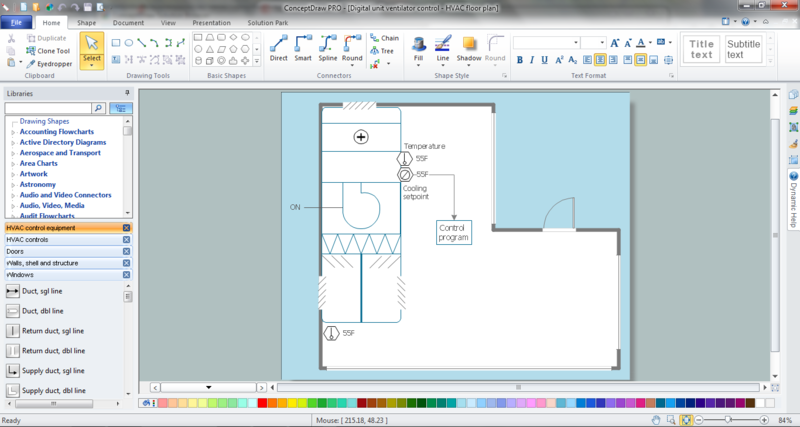 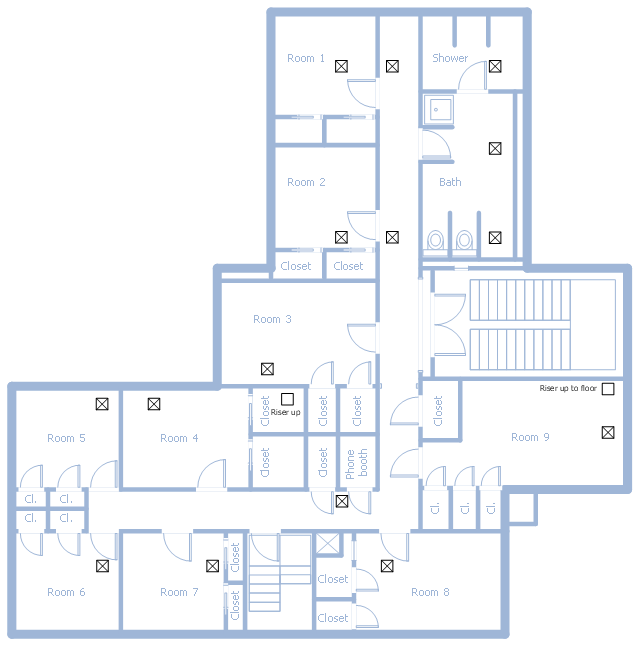 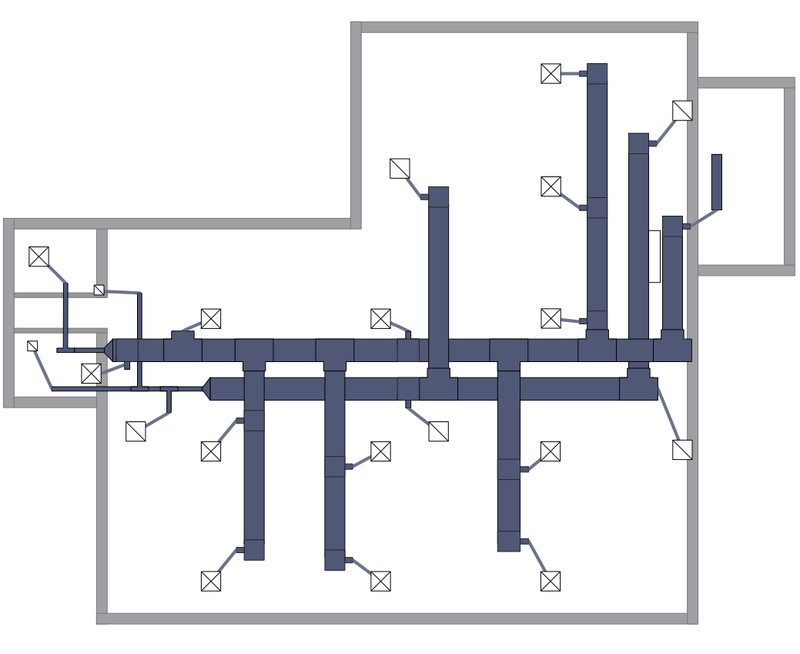 This school HVAC plan sample represent layout of air conditioning ductwork inlets and outlets.